I often get feedback about my lists like 100 ways to serve others, and just recently Kate commented that someone had a sharp response to her wanting to buy their coffee being next in line at a coffee shop. This might be a classic example of what you wouldn’t normally expect someone to respond like to an act of kindness but it seems that in reality, things are much more difficult to graciously receive than one might think. Many times I think that serving others is actually easier than receiving from others. Perhaps you’ve hear about someone getting mad over paying for their coffee and think you would never do this yourself. You would likely want to simply thank the person and move on, but I doubt you would find it that easy. Here are some other ways that receiving graciously can be very hard and I challenge you to consider each of these in how you might respond. Do you graciously receive each of these in your life? Compliments are great to hear and can spark a lot of good feelings about one self, one’s decisions or whatever else the compliment might be about. A problem many have is that they often don’t simply thank the person for the compliment and believe it, instead they down play it as if it isn’t that important to hear (even though it is). This can be done by someone dismissing it, where they might say something like, “No, this old thing, its not that nice.” Other people have a habit of excusing a compliment and simply saying no, or passing on the credit to someone or something else. This is actually a strong message back telling the person is wrong to give the compliment (even if that is not intended) as you deflect what they have to say that is nice. Another bad habit is people who minimize a compliment to something meaningless or less important. Simply saying, well it was no big deal might seem harmless, but it still dismisses and minimizes the compliment itself. Often when someone says it is no big deal, really was a big deal and that person had to sacrifice something as a result. It’s much better when you receive a compliment to simply accept it as it, say thank you and graciously receive it. The person is doing something nice and going out of their way to tell it to you, the least you can do is simply accept it and thank them. Another area many people have a hard time graciously receiving is in an offer to help someone. Many people give the impression that help is a sign of weakness so they refuse any offer of help and indicate that they can easily do it on there own, or want to, when in reality this is rarely true and help is almost always better to have than not. There are many tactics here that I’ve heard from time and time (and unfortunately said myself many times) such as down playing the need, responding that it won’t be hard or that I can easily do it on my own so won’t need the help. It’s not a weakness to accept help, and typically its a way to strengthen a relationship and spend some added time with someone if you are able to do something together. Where do you stand when offered help and do you graciously receive it or make excuses and reasons why you don’t need it? Receiving is often toughest between friends and many friends secretly keep track of favors, purchases or costs accumulated in a friendship. This is dangerous grounds, a recipe for disappointment and often leading to hurt feelings and arguments. A classic example here is when friends go out for lunch and one person pays for the other’s lunch. This often leaves the friend who’s lunch was paid for to feel obligated to pay next time, or to return the favor in some way. I’ve seen friends literally fighting to pay at a restaurant or at their table over who and how they are going to pay. Maybe you’ve been at one of those tables, as I suspect many have. This expectation on oneself that the favor or lunch needs to be returned really should not be that critical in a friendship and its much better to avoid the argument or obligation and simply accept the kind gesture and thank them for picking up the tab. If you get the chance next time, go ahead and return the favor, but don’t take notice or score of who pays what when, simply accept the kindness, be kind in return when you can and look at this as an area you can more graciously receive. Can you think of someone’s birthday, an anniversary, a thank you gift or some other special event you want to give a gift for? Does it cause you a little tension or stress? How about if you receive a great gift from someone but it is not a special occasion, they simply did it because they were thinking of you? Does this cause any kind of stress in how you respond? Many people make comments about gifts like you shouldn’t have, or I didn’t get you anything, which stems from a feeling of obligation to return a gift. 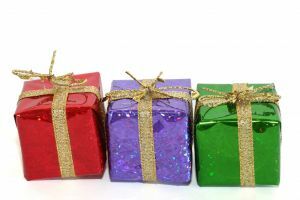 Gifts are supposed to be that exactly; a gift, but unfortunately, we often associate many other expectations with a gift. Definition of a Gift: something given voluntarily without payment in return, as to show favor toward someone, honor an occasion, or make a gesture of assistance; present. This definitely shows that it is something without payment in return, also meaning without expectation of anything being returned. The best way to receive a gift is to do so graciously, with joy and appreciation, not attaching anything else to it like an obligation, returned favor or similar gift. Many people feel that a gift’s value is representing something deeper in a relationship as well so want to match the value of a gift. This is not graciously receiving either and is difficult to eliminate and simply receive with joy and appreciation, nothing more. So, the holiday season is fast approaching, which is often a time for gifts and other offerings. I hope this article gives you something to think about and to look for ways you can more graciously receive when the time comes and to let things be as intended, received with appreciation and to do everyone who is kind to you a favor by not complicating things, not over analyzing and not attaching obligations to what you should be able to gracious receive. Great post Mike! I agree with everything on it. I love the coffee analogy because I’ve had the same thing happen to me where the person was almost put off when I attempted to buy them a coffee. I’ve had many discussions with various clients about when they’re given a compliment and instead they choose to respond with something like, “Well not really” or “well you should have seen the other guy”, or “I just got lucky” etc. etc. We need to own our accomplishments and when people acknowledge them say thank you more often. This is a great post! It took me years to learn to just accept a compliment. And I’m going to remember the Ann of Green Gables response for those occasional back-handed compliments! This is a fantastic post! It took me decades to understand to just take a enhance. And I’m going to keep in mind the Ann of Natural Gables reaction for those periodic back-handed compliments! I know what you mean. I have had that happen to me. I am good at accepting things. I have found that one easy thing to do is pay for a toll for the person behind you, weather they are gracious or not you don’t have to worry about it. I just few days ago celebrated my birthday and received gifts in big numbers.I was overjoyed that day with all friends and colleagues. To be generous and give more than to take a good gift to your friends and neighbors, it creates more respect and you always feel good. good article that warms my heart. When I do receive, I like to respond in some way by giving back or showing the person their effort was relevant to me. Sometimes I don’t notice what people are giving me, but when I do, I look to to return the effort at some time, because there is a friendliness involved. Few people provide something to others, and those few should be acknowledged. I got many gifts on this Christmas and New year.We all in family and friends exchange gifts and have lots of fun!Thanks for great ideas.